Where Luxury and Western Come Together! 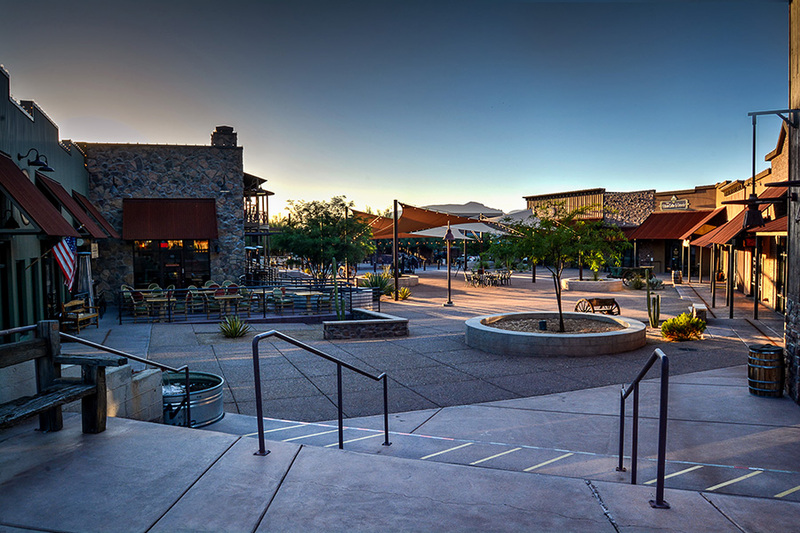 Stagecoach Village is an incredible community shopping area nestled in the Valley of Cave Creek. The center is surrounded by mountainous views, including those of the beautiful Tonto National Forest! Uniquely positioned on the border of Cave Creek and Carefree, the distinctive roof line gives this center a great look as you turn right off of Tom Darlington/Scottsdale Rd. Whether, it’s shopping, choosing your favorite restaurant or enjoying a coffee in the serene atmosphere with your loved one, Stagecoach Village is a wonderful area where community events, art events and special shows come together. Stagecoach Village is a newer development that focuses on quality and community!